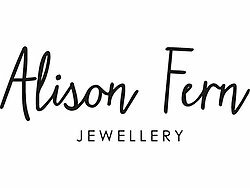 Welcome to Alison Fern Jewellery. I am a self taught jewellery designer living and working in London. All of my pieces are individually crafted by hand and in limited quantities. Influenced by the romanticism of nature and the urban and vibrant side of the city. Creating delicate and feminine pieces yet with a modern and bold feel. My real motivation comes from a love of creating unique yet affordable pieces inspired by and created for everyday life. It is my belief that nice things are to be worn in the here and now and not saved for ‘best’. I hope that when you buy a piece of my jewellery it becomes something you love, transcending fashion and playing a part in telling the story of who you are. I use quality materials such as 14k gold fill and sterling silver because I want it to look expensive, albeit wearable and low-key, and be a lasting investment. My focus is on quality so, ALL the silver used is sterling silver and ALL the gold is 14k gold filled.